This thought-provoking book reveals one of the deepest secrets of Western occultism - that the transformation of base metal into gold is also the transformation of the current dark Age of Iron into the Golden Age of light. Rooted in the work of the enigmatic 20th century alchemist Fulcanelli, as well as many years of research and exploration in their fields, authors Weidner and Bridges have decoded the message inscribed on the Great Cross of Hendaye, France - a message that predicts the date of the fatal season of the apocalypse. 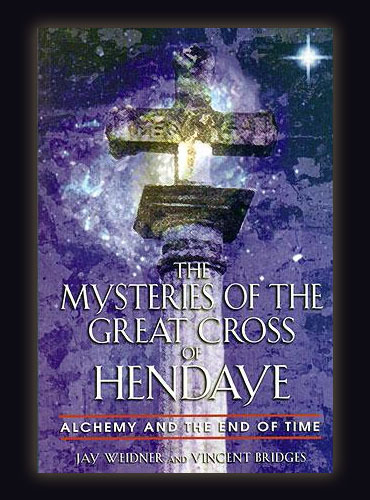 From the shores of southwestern France to Notre Dame Cathedral to the temples of ancient Egypt and the secret origins of Atlantis in Peru, the authors examine the myths and mysteries of the earth's periodic catastrophes, the hidden knowledge of the end of time and the great alchemical secret of the imperishable body of light that lies deep within our DNA. Filled with new insights into the art of alchemy, this book offers an eye-opening view of the covert history of this ancient tradition and its impact upon the spiritual teachings of the West.